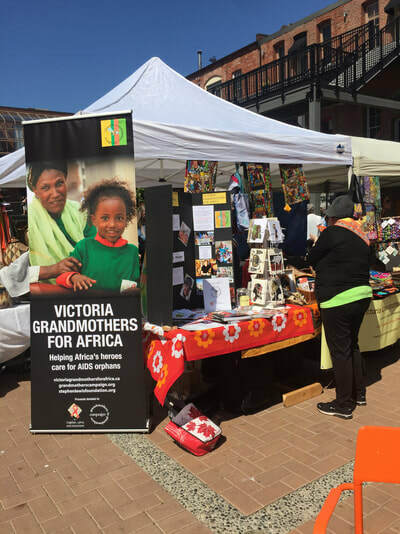 The Sales and Crafts Working Group is one of the largest groups within Victoria Grandmothers for Africa. New members are always welcome. We have a chair, a recording secretary, a treasurer and a quartermaster who stores and keeps track of our inventory. Working Group meetings are held in the months between general meetings or as necessary. 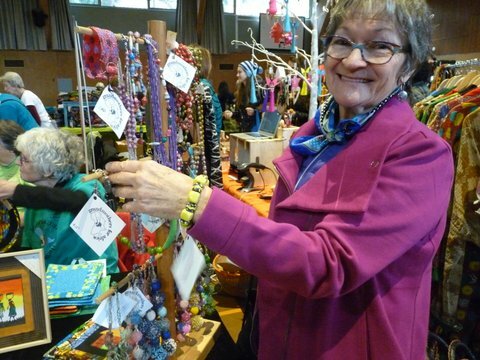 In the past we have sold our wares at outdoor markets but will be taking a break from that for the coming year. 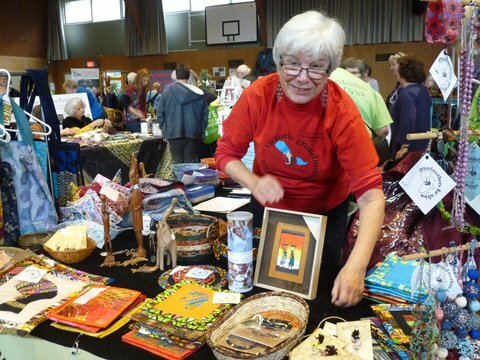 We attend the Victoria International Development Education Association (VIDEA) Ethical Trade Fair in late November. Our signature fabric art cards are available at the coat check booth at the Out of Hand Artisan Fair on the last weekend of November. 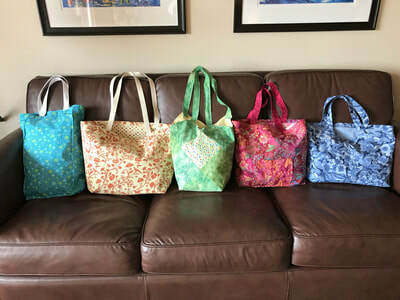 We have teamed up with the Education group this year to visit a number of retirement homes for an audio visual presentation followed by a sale of our items. 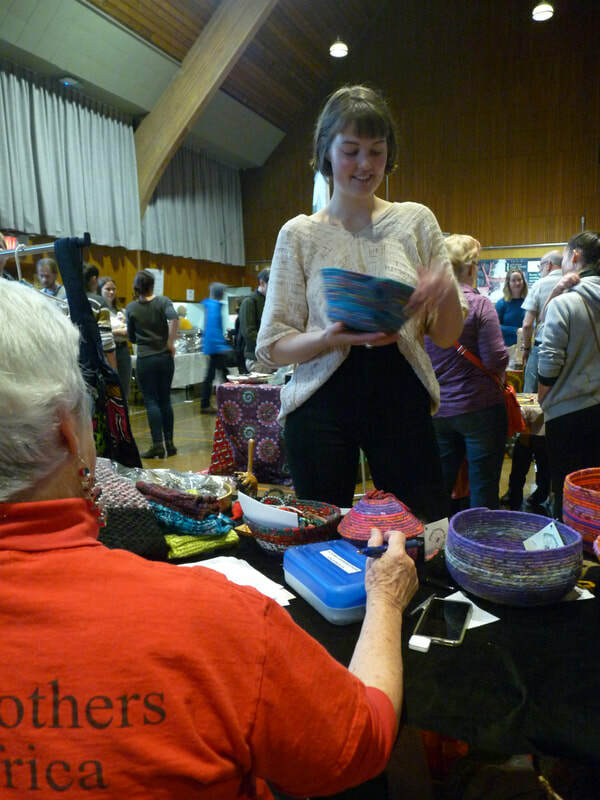 Some members work at home sewing or knitting, some contribute baking for the bake sale at our Christmas Social, some participate in the many workshops we organize to make our various sale items. 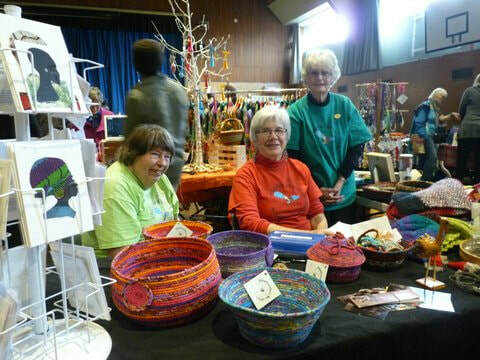 Members volunteer to help staff the many sales events we attend and also help with decorating for some of our major events. At present we sell knitted comfort dolls, South African made Ubuntu bracelets, beaded “Little Travellers” pins, and a variety of jewelry, hand made fabric cards, tea cosies, insulated fabric wine bags, unique placemats and table runners, cloth napkins, mug rugs, cotton clothesline baskets, trivets and coasters, microwave bowl holders, pot holders and seasonal Christmas items. Our inventory is constantly changing with some items being removed and new ones added. 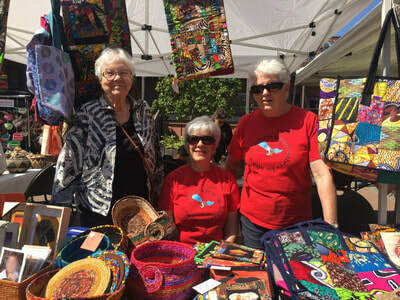 View an image gallery of our craft items.